Our White Paper Carrier Bags are made from strong 100gsm kraft paper, with a twisted paper handle. These versatile bags are 100% recyclable, degradable, and reusable, and can be folded flat for storage. 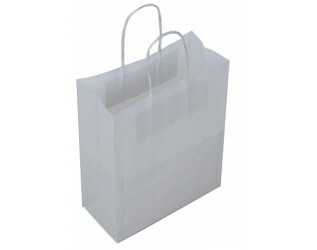 These carrier bags are both economical and environmental, and are also available in a wider range of colours.